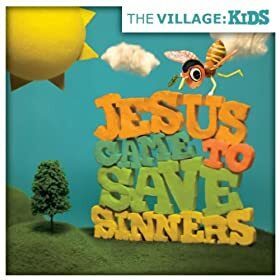 The Village Church has just released a new children’s CD and you can download it for FREE here. Steven Curtis Chapman A dad of three adopted girls and three biological children, Steven Curtis Chapman has become a leading advocate for adoption. I’ll put money that most churches doing some music this Sunday for adoption will include a SCC song. One of his most popular is “When Love Takes You In,” exploring the journey from an adoptee’s perspective. I’m very excited about his new album that just released today which is his first since the death of their daughter Maria. Check it out here. Aaron Ivey – Aaron and his wife are adoptive parents and have been in the process of adopting two children, Amos and Story, from Haiti for the past two years. Story just came home the other week! Amos is still waiting. Aaron travels the country and the world with his band promoting justice issues and the glory of God through worship. He also leads worship at the Austin Stone Community Church. Meredith Andrews – Meredith has had a passion for orphans and adoption since she was young and has a great testimony of how God has used her family. This passion is reflected in her music. Read a great article about her passion for adoption here. Darryl McDaniels aka DMC (of Run DMC) – It wasn’t until he was 35 that rapper Darryl McDaniels (of Run DMC) learned he’d been adopted. In “Just Like Me,” he transforms Harry Chapin’s “Cat’s in the Cradle”—a folksong about a failed relationship between a parent and child—into a message of hope to adoptees everywhere. Fellow adoptee Sarah McLachlan collaborates on this hip remake. Sons & Daughters by Sovereign Grace Music – These songs are meant to direct our attention to the unfathomable love God has shown us in adopting us through Jesus Christ (Eph. 1:5). We are now part of God’s family—in Christ we will forever be the objects of God’s particular and passionate mercy and love. Great for use in corporate worship. We are so excited for our friends, the Ivey’s, who just brought home their little girl Story from Haiti. They have been waiting for over 2 years. I posted the song that he wrote for his children (they are still waiting on Amos to come home) before but here is a live version from his recent house tour. It is powerful! Check out updates on their adoption here and get his album here. This has been on replay all day. Steven Curtis Chapman announces some of the details of his new CD and gives a tour of Maria’s Big House of Hope in China. BEAUTY WILL RISE will be available November 3rd.